As press reports circulate of findings of "serious doubts" during Europe's initial market investigation into Universal's proposed acquisition of its thriving competitor EMI, IMPALA welcomed the prospect of a detailed second stage investigation. This is expected to commence when the phase one deadline expires on 23rd March. It is understood that customers and other actors raised the red flag, as well as competitors such as independent music companies. IMPALA expects the second phase of the investigation to confirm the Commission's initial conclusion that the merger would seriously impede competition in the music sector. 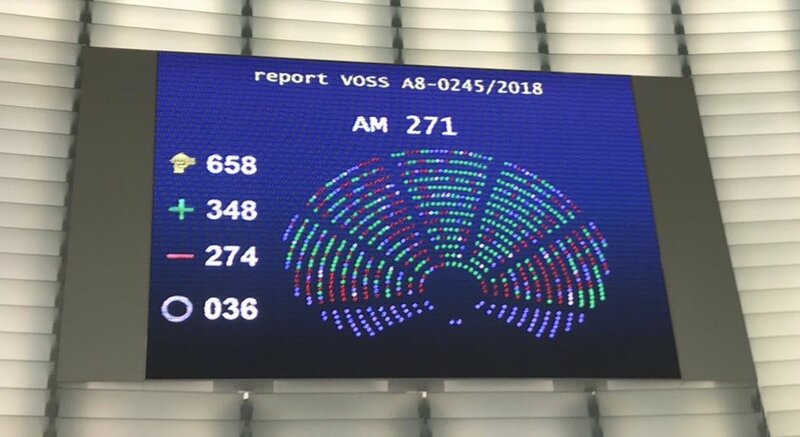 The preliminary market investigation is also expected to have shown that Universal already exerts undue influence over the development of online players, all of whom are in a weak negotiating position because of their dependence on the market leaders' repertoire, which the EC has already found to be "incontournable". Helen Smith, Executive Chair at IMPALA, comments: "Above all, the regulators will want to ensure more choice for artists and consumers, who also need to be protected from price increases. They will also be keen to ensure that online services can develop free from excessive constraints, to help the sector overcome piracy and allow citizens access to music on fair and reasonable terms. They will also want to make sure that in the future, independent artists like Adele and many others continue to flourish as they always did". Michel Lambot, Co-Founder of the PIAS Entertainment Group and Co-President of IMPALA adds: "Majors have always been a useful distribution system but most of the great performers and records have been the fruit of encounters between artists and entrepreneurs that were music lovers - Elvis Presley, The Jacksons, Bob Marley, U2, Edith Piaf, Jacques Brel, The Rolling Stones, Andrea Bocelli, Depeche Mode, Georg Solti, Adele have all been signed by the likes of Eddie Barclay, Richard Branson, Edward Lewis, Maurice Rosengarten, Chris Blackwell, Berry Gordy, Daniel Miller, Ladislao Sugar, Ahmed Ertegun, Richard Russell and numerous less known people that have helped create an incredible diversity of the musical offer. Most of these artists' repertoire is now in the hands of a few music conglomerates. The danger now is an even bigger reduction of conduit - two majors controlling an excessive part of the music market will not allow new cultural entrepreneurs to exist anymore. If we want to keep the 21st century music alive and give artists a way to express themselves, then the regulators needs to keep routes to the market open to the existing and future musical companies in order to keep a large choice to consumers, exciting new music and a healthy sector." IMPALA has also underlined that the merger between Sony and EMI on the publishing side raises equally fundamental issues and should be treated together with Universal's proposal in the upcoming phase 2. The complexities and dangers of excessive market power in the music publishing market are as pronounced as they are in recording, especially given EMI's thriving position as the world's number two, with Sony fighting off competing bidders to be the buyer. Universal's parent Vivendi had its credit rating recently put up for review due to the regulatory concerns raised by the proposed acquisition of its thriving competitor, EMI. Concerns were also raised about its past record regarding commitments in other competition cases. IMPALA was established in April 2000 to represent European independent music companies. One of IMPALA's missions is to keep the music market as open and competitive as possible. IMPALA has an impressive record on competition cases in the music sector. The first EMI/Warner merger was withdrawn in 2001 following objections from the EU after IMPALA intervened, in its first year of existence. It also won a landmark judgment in 2006 in the Sony/BMG case, and when Sony acquired 30% of EMI publishing in 2012, it was at the cost of significant divestments. The biggest set of remedies proportionately ever in a merger case was secured later that year, when UMG was forced to sell two thirds of EMI records and had to accept ten years of scrutiny over the terms of its digital deals. When WMG bought Parlophone in 2013, IMPALA secured a hefty divestments package for its members. On top of mergers, IMPALA has also been involved in other anti-trust cases involving the music sector, such as the abuse complaint against YouTube in 2014 and the call for regulating unfair business practices by large online players. IMPALA has also submitted observations on Apple’s bid to acquire Shazam. See the organisation's other key achievements in IMPALA's milestones.